Brimful Curiosities: Wordless Wednesday - Brrrrr ... It's Cold! 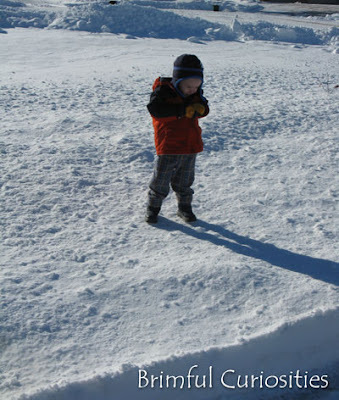 Wordless Wednesday - Brrrrr ... It's Cold! You'll think I'm nuts, but I'm jealous! I'm with the nut above! We would LOVE even just a tiny bit of that. And, it's even cold enough in GA right now! Thanks for finding my site (Today's Top 20) This is what it looks outside here too! With more coming!! Stay warm! 15* outside here....I agree Brrr. My kids want to play out there too. I keep telling them that even though there's snow on the ground it's still way too cold to play in it. It's cold here, but no snow yet. Maybe tomorrow. We'll see.